Recent hurricanes have brought devastation to Puerto Rico, parts of Texas, the Caribbean, and Florida, causing millions of people to lose access to the grid. These unusually frequent catastrophic events remind us of the inherent weakness of energy infrastructure, usually built with 20th century technology and around 20th century production models. For those unaffected by these calamities, it’s almost impossible to imagine our lives without electricity. Electrical power is part of the world’s critical infrastructure and at the heart of both economic development and social well being. We rely on it to support needs that vary across the use spectrum from running household electronics to controlling traffic signals to protecting national security. Unfortunately, though, the electricity supply is undependable and widespread blackouts are becoming more frequent and severe occurrences. One of the largest threats to a reliable power supply, particularly across North America and Europe, is aging infrastructure, which is especially weak in the United States. Globally, existing infrastructure isn’t adequate for meeting the swell in energy demand, which is expected to increase by 48 percent over the next 30 years, nor does it have the capabilities to effectively integrate the growing area of distributed energy resources (DERs) like wind and solar into the power mix. For an energy management system to remain secure and reliable, the electrical grid must be resilient and responsive with a flexible architecture so that new technologies can be easily integrated. Electric utilities’ infrastructure improvements rely heavily on technology such as intelligent electronics, advanced analytics, and connected devices to better manage assets and predict and prevent failures. Modernizing and digitizing the grid is a growth opportunity for utilities because it accommodates increasing customer demand and takes advantage of DERs’ ready supply of power. This boosts reliability, adds sustainability, improves efficiency and security, and enhances performance. It’s clear that both utilities and energy consumers want to mitigate service interruptions and protect themselves from outages as well as improve their sustainability. Microgrids are one answer for this challenge. They can play a major role in improving resiliency, reliability, and security for protecting businesses and communities from costly power outages by providing uninterruptible backup power. They’re often a smart, economical solution for shoring up infrastructure because they can take advantage of existing DER to provide dependable, flexible energy without requiring the expensive replacement of electrical equipment. Microgrids are also a versatile power option because they can operate either independently or in parallel with a grid. And, while some facilities use them primarily to protect themselves from outages, microgrids have also been embraced as a way to bring power to remote communities that could not otherwise connect to the electrical grid. As the abundance of blackouts over the past decade has made clear, utilities continue to make changes to ensure secure, reliable power in an uncertain environment. Adding microgrids and initiating a digital transformation are substantial steps toward reaching these goals. 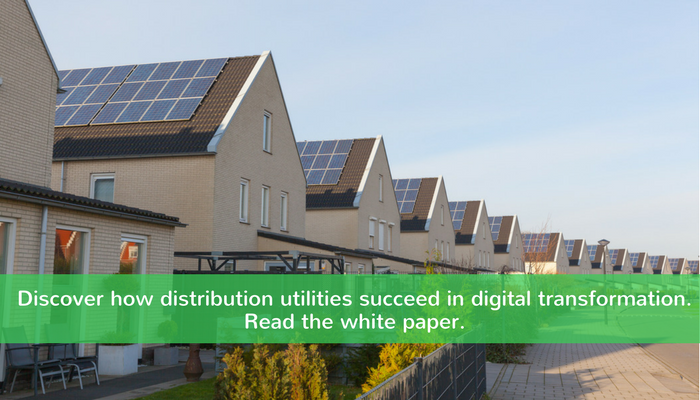 I invite you to read this white paper “How distribution utilities succeed in digital transformation” for a closer look at the drivers and a more detailed strategy for successfully transitioning to a more digitized utility. Tata Power makes digital self-healing grid a reality with EcoStruxure™ How solar power gets a boost with smart grid solutions Electrical Grid Security is Serious Business Why are there more power outages than ever and how can the impact be averted?